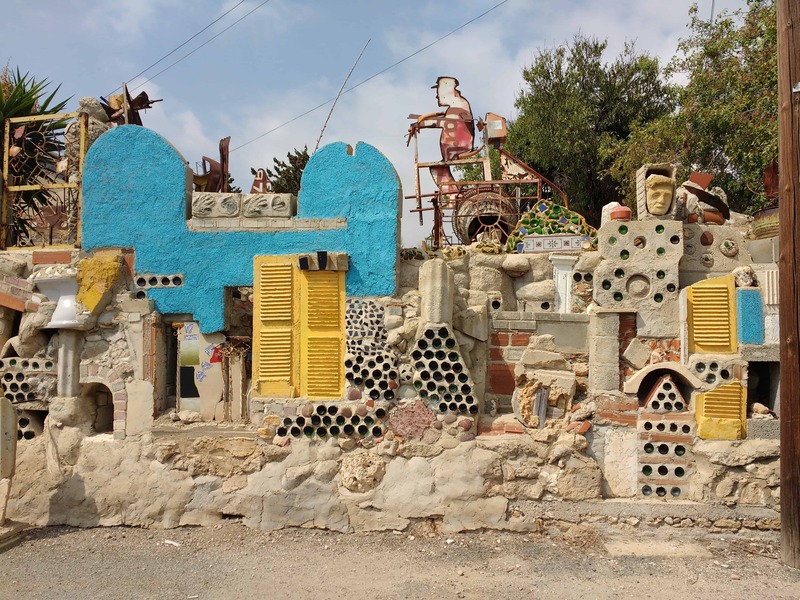 In 2017, Paphos Cyprus became the European Capital of Culture, and when we visited, it was brushing up this fabulous city by the magical blue Mediterranean? Buildings were being rebuilt or restored, painting was taking place everywhere, new roads and pathways were being installed it was looking pristine and almost perfect. Now Cyprus is not a place I ever expected to find myself but a last minute house sit for 3 months found us in Tala Cyprus looking after an adorable little mixed breed dog and a lovely shy cat. The homeowners were unfortunately not so nice but created a fabulous learn to trust yourself environment… lol. Cyprus, famous as not only the birthplace of Aphrodite but as a renowned Ancient Greek pilgrimage. In more modern times it is, of course, an island subjected to a back and forth between Turkey and Greece in a “conflict”. Another one of these worldwide “conflicts” or “troubles” that separate and make enemies of old friends and is still unresolved. 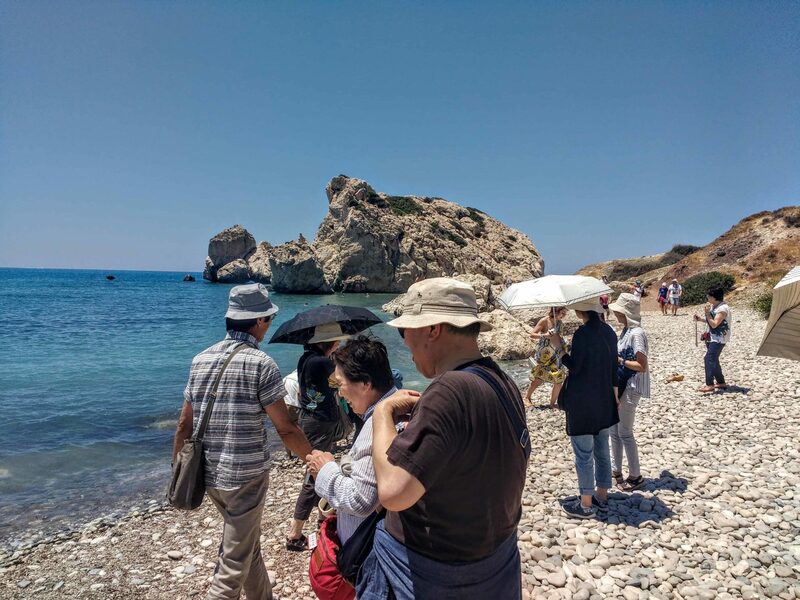 EU tourists, however, have no issues with visiting both North and South Cyprus and in fact flock to the area for its constant sunshine and beautiful waters. 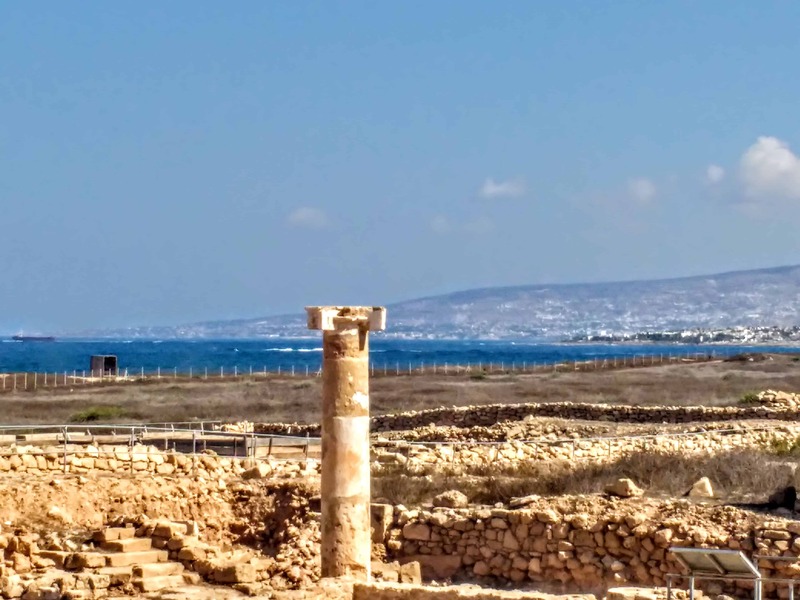 Kato Paphos (Pafos) which has been the capital of Cyprus for over 6 centuries sits right on the water’s edge. 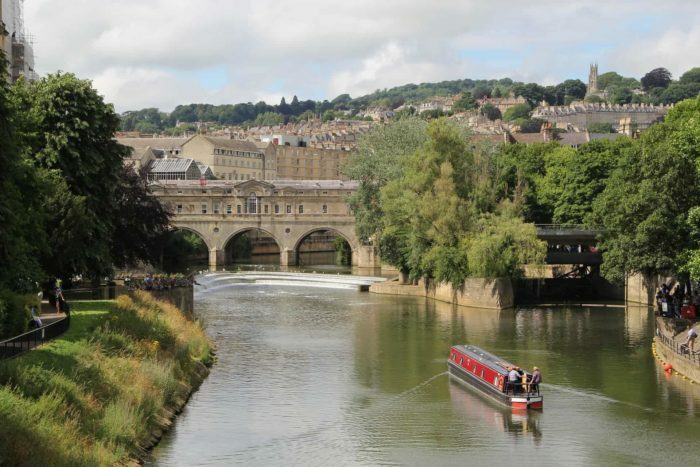 The entire city is a world treasure and as such has been named a UNESCO World Heritage site. 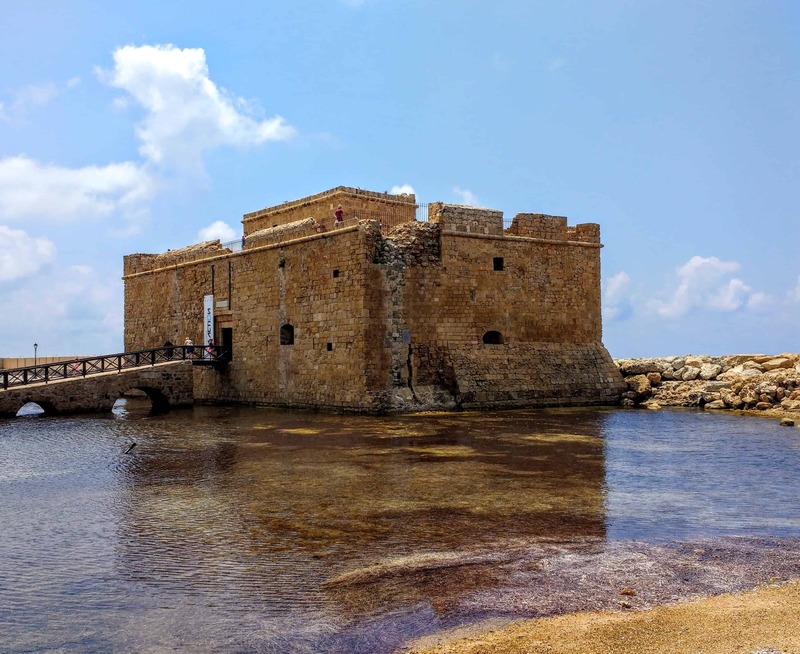 Paphos (Pafos) has a wonderful array of historic sites to tour, not to mention a fabulous choice of Blue Flag beaches in the area, 340 days of sunshine year round, amazing shopping and food you will remember forever. 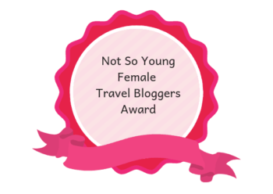 Read on to find out what I think some of the top things to do in Paphos are. 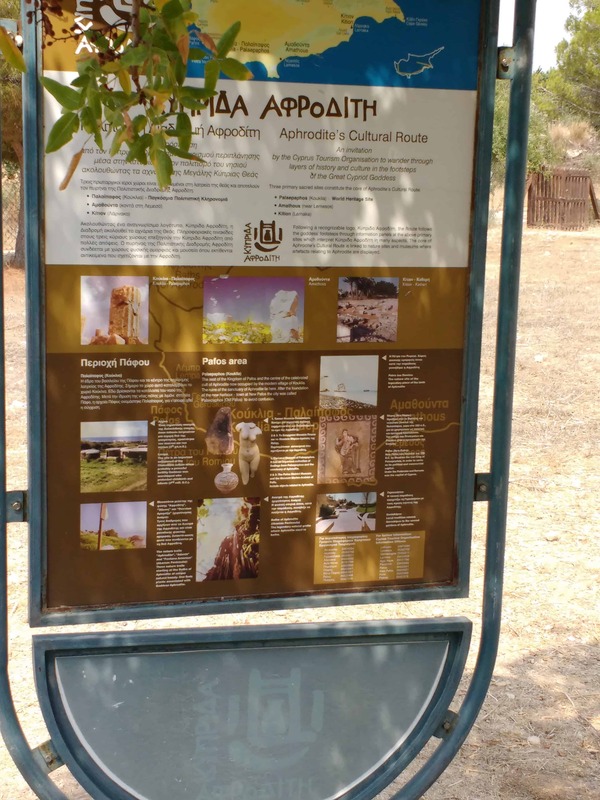 The Pafos (Paphos) Archaeological Park, which costs €4.50 to enter, contains several fascinating archeological finds. From the incredible Roman Mosaics, which did a farmer, ploughing his field in 1962 to the Odeon, which is still in use today. 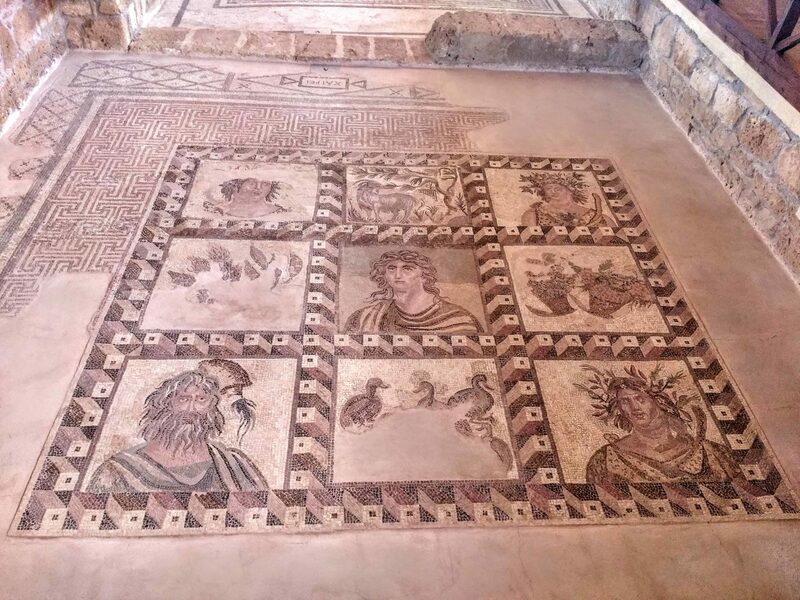 The 4 Villas that were found include the Houses of Dionysus, Theseus, Aion and Orpheus who were Roman noblemen dating back to the 2nd through to the 5th centuries AD. 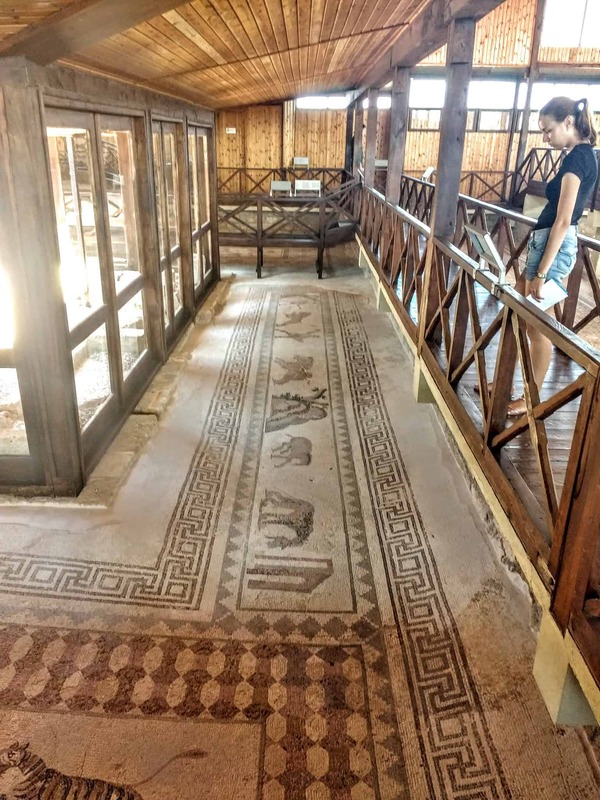 These villas are covered in superb floor mosaics that depict various scenes from Greek mythology. 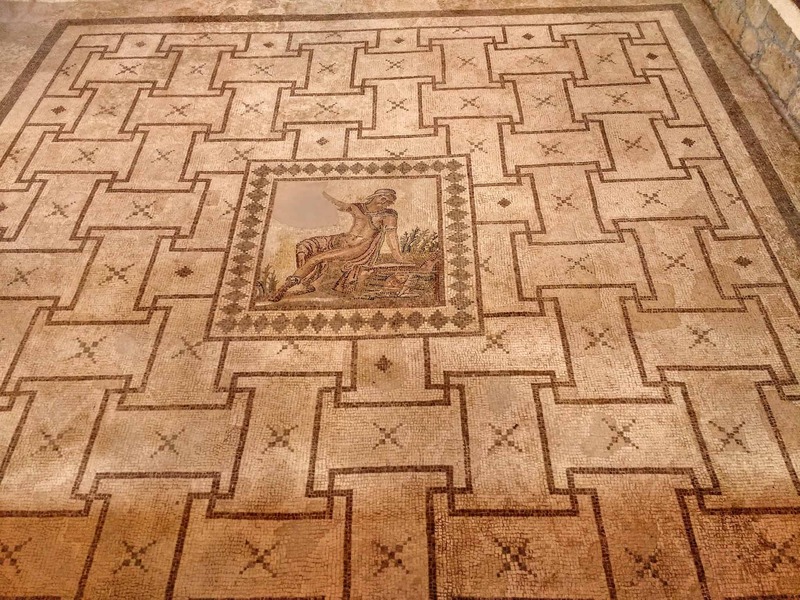 In the House of Dionysus, the floors are decorated with mythological and hunting scenes. There is a beautiful Hellenistic pebble mosaic that represents the sea-monster Scylla at the very entrance to the Villa. One of the most well-known mosaics is found at the back of the house, depicting a Ganymede being taken back to Olympus by an eagle. The most famous mosaic though is the scene depicting the triumph of Dionysus with the God in a chariot drawn by leopards, while behind him are a gathering of followers engaged in various revelries. The House of Theseus is named after its oldest mosaic, which is of the Ancient Greek hero confronting the Minotaur. Later or newer mosaics depict Poseidon, Amphitrite, and Achilles´ first bath. 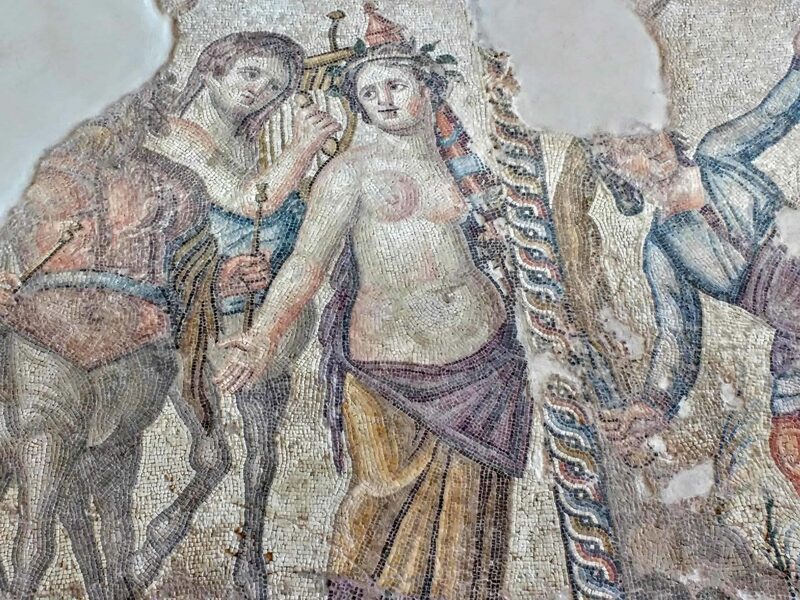 The House of Orpheus has floor mosaics, which feature Orpheus among the beasts, and two panels representing Hercules and the Lion of Nemea, and an Amazon with her horse. The House of Aion has the most spectacular mosaic of five figural panels depicting the newborn Dionysus; Leda and the Swan; the beauty contest between Cassiopeia and the Nereid’s; Apollo and Marsyas, and the Triumph of Dionysus. The Park also includes other sites and monuments from prehistoric times to the Middle Ages, such as the Asklepieion, the Odeon, the Agora, the Saranta Kolones (Forty Columns) Castle, and the Limeniotissa ruins of an Early Christian Basilica. The ancient Odeon or amphitheatre is one of the most interesting attractions within the archaeological park and it is still used to this day for concerts and theatrical events. It is believed the Odeon was built in the 2nd century and modified and used by the Romans up to the 5th century. The amphitheatre is made of carved limestone and features rows of stone seating around a half-circle stage. Outside of the Archaeological Park, near the Saint Solomon catacombs are the ruins of a much larger theatre, which have not been restored. Originally, a Byzantine fortress stood on this spot at the mouth of Paphos harbour and then later the Venetians dismantled the old fortress and built their own. When the Ottomans conquered Cyprus, they torn that down and built the castle we see today. It’s a squat, rectangular building that for the past few hundred years has served as a prison and warehouse for salt, but now it’s a cultural landmark and emblem for the city. 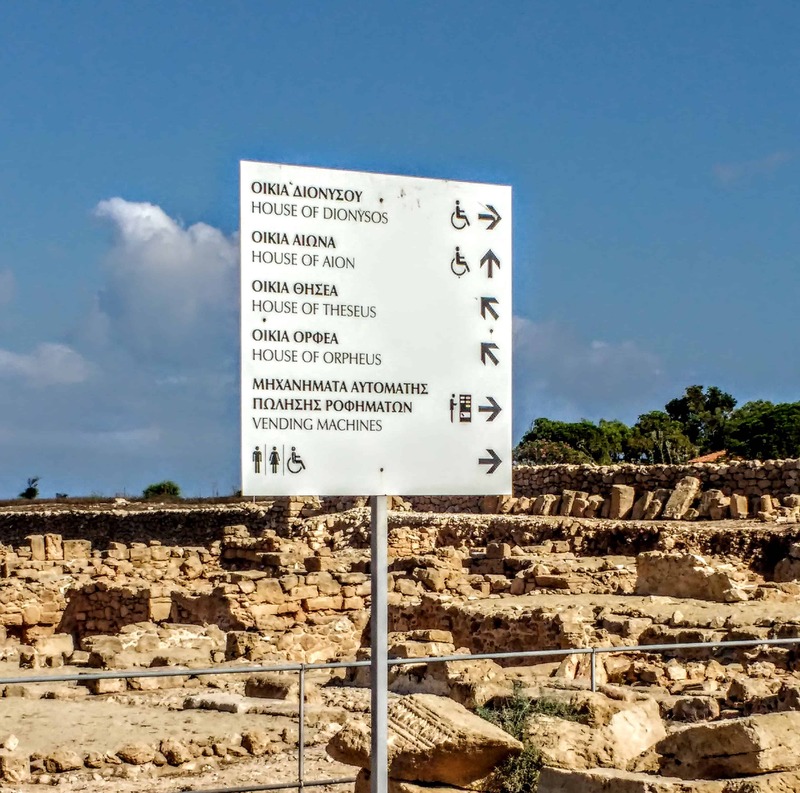 Although it’s tiny, the Paphos Fort is one of the most recognisable sights in Paphos. You enter by crossing a tiny bridge across a moat. Its prime position, overlooking the harbour, made it an excellent defence for the town. The Castle now hosts events, musical evenings, concerts, plays and more during various festivals and cultural festivities. 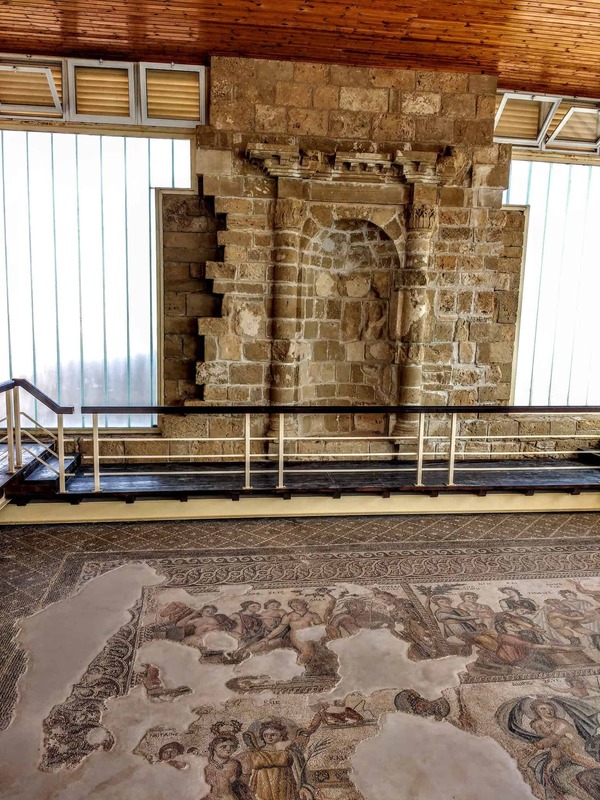 The Archaeological Museum of Paphos (Pafos) houses a large number of archaeological objects found at the most interesting sites of the Pafos district area, representing all the Prehistoric and Historic periods. This museum documents human activity in western Cyprus from the Neolithic age to the 18th century. The artefacts on display were excavated from as many as 15 archaeological sites, including the ancient settlements that predated modern Paphos and the neighbouring town of Kouklia. These massive underground tombs are carved out of solid rock and date back to the Hellenistic and Roman periods. It is believed that the tombs held the remains of high-ranking officials and royalty but it was the size and grandeur of the tombs that caused archaeologists to give it its regal name. 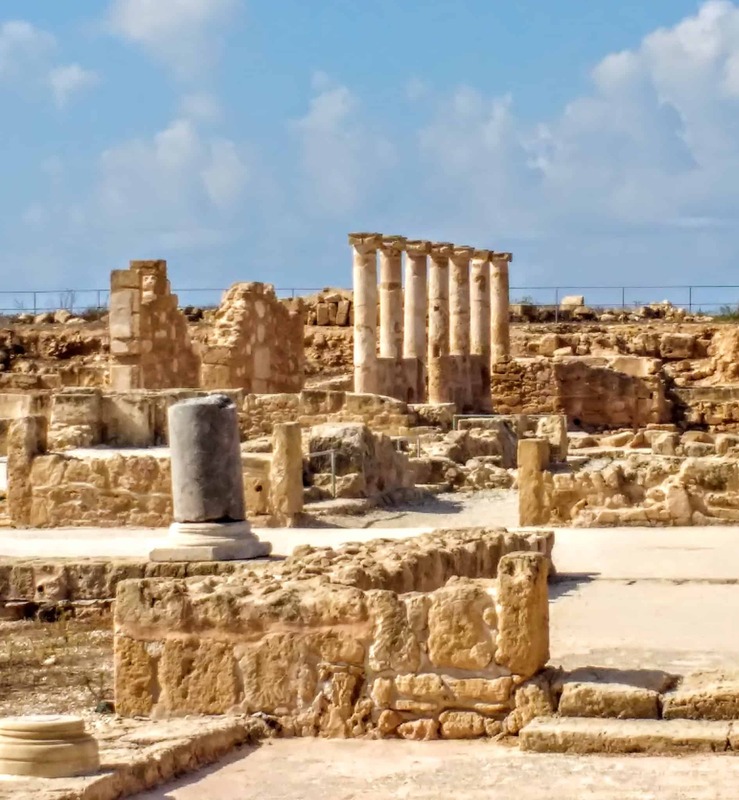 Some of the tombs are similar to those found in Alexandria, which shows the very close relationship between the two cities during the Hellenistic period. 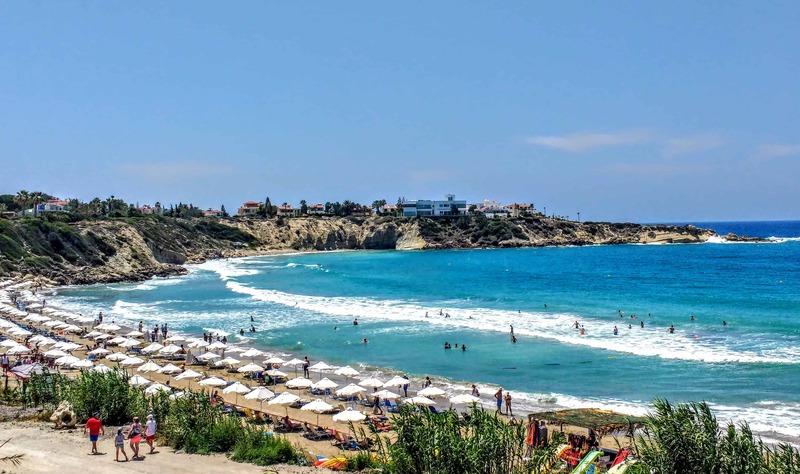 One of the best reasons the tourists flock to Cyprus is the beaches. 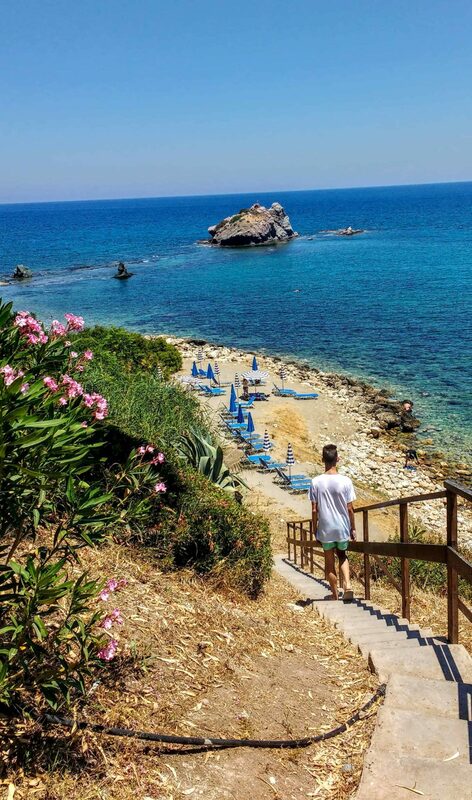 With more than 50 kilometres of coastline with 27 beaches and 12 of which are, Blue Flag Cyprus cannot be beaten for a perfect beach holiday. 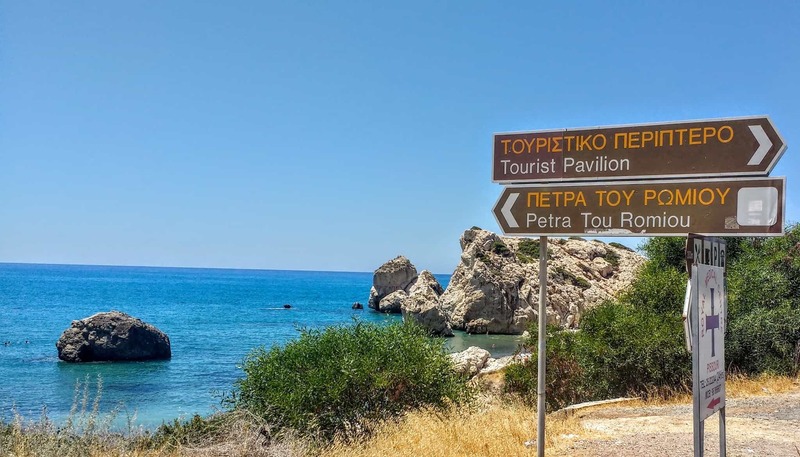 The best ones for tourists are between Paphos Town and Cape Drepanon. There are so many to choose from but one of the most popular is Coral Bay in Pegeia Cyprus. 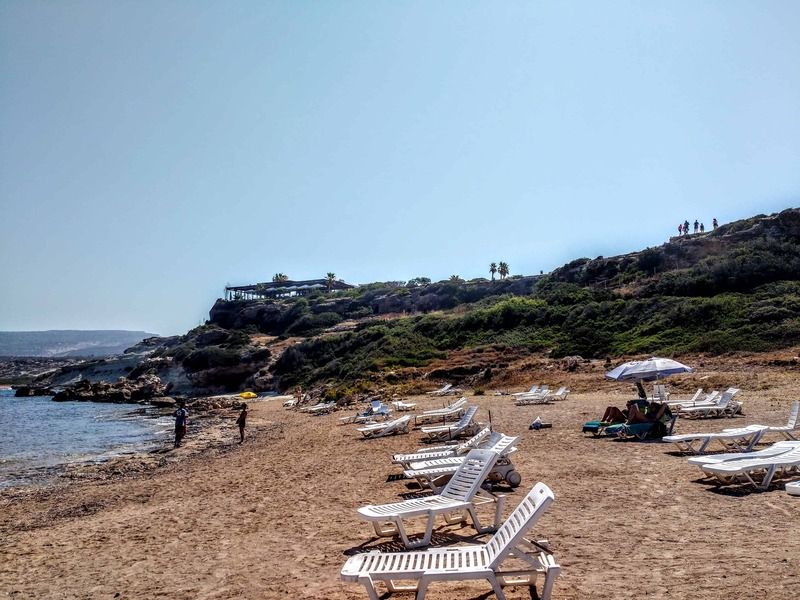 On the eastern side of Paphos is the lovely Alykes Beach with plenty of good facilities, making it a top choice for holidaymakers with children in tow. Corallia Beach is one of the most popular beaches in the north of Paphos. This is a great swimming beach and there is a protected area for children to swim in. There are loads of loungers to rent for the day and a nice beach restaurant. For a less crowded beach, a short 8km drive to Kissonerga is called for. Kissonerga has a really nice little beach, which rarely sees a visitor as it is out of the way. 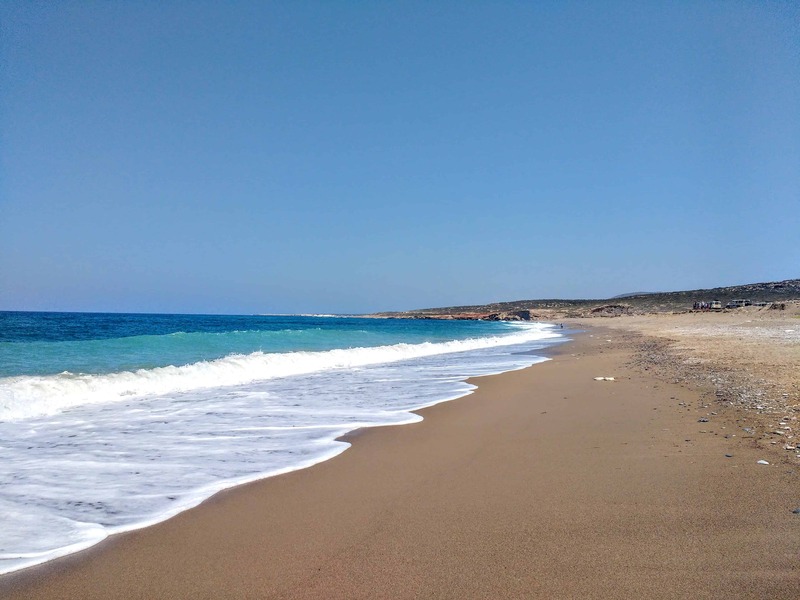 But if you are making a trip to Lara beach to see the nesting turtles (it is 25 km north of Paphos) make a stop at Kissonerga. This is one of Cyprus’ most significant pilgrimage sites. Back in 45 AD Paul the Apostle came to Paphos to convert the ruler from Paganism, and because it wasn’t such a good time for Christianity, he got 39 lashes. The lashing took place in the grounds of Agia Kyriaki Chrysopolitissa an Orthodox/Anglican church built on the site of an ancient basilica. To the side of the church, you’ll find the pillar to which the saint was tied for his punishment. This site is a rare settlement of the Chalcolithic age, which came after the Neolithic period. It lasted from around 2500-3500 BC and featured the use of copper and stone implements. 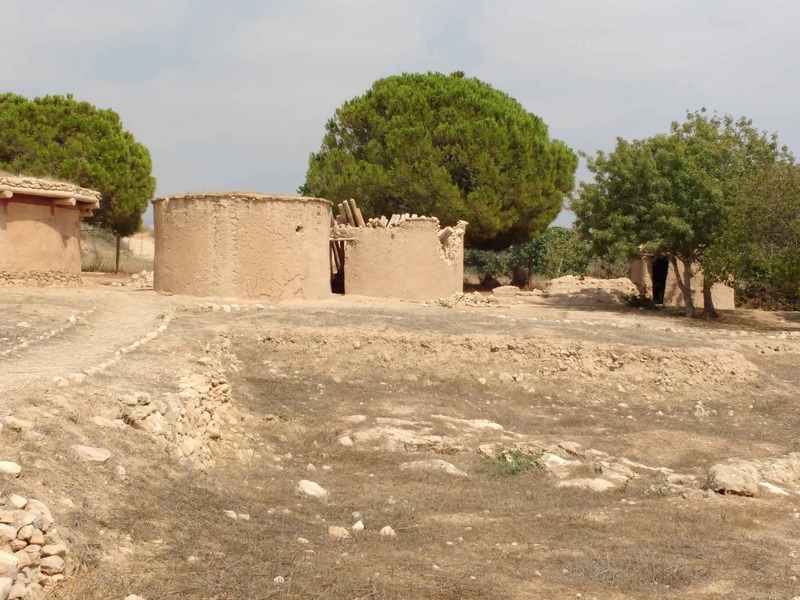 The village originally contained clusters of round houses built of stone and mud and was not surrounded by any defensive walls. Its inhabitants were hunter-gatherers and survived on hunting, fishing, herding and gathering and growing of various plants. They made tools in stone, bone and deer antler and knew pottery, stone and woodcarving, weaving and basketry. They also used a few small copper objects. Their community was a goddess-worshipping group whose main figure would have been a powerful fertility goddess who protected childbirth and infants. The evidence for this worship is corroborated by the finds of numerous female figurines made of clay and stone, especially picrolite. These were found in houses and in tombs, mainly of infant and women. Stass Paraskos founded The Cyprus College of Art in 1969. A Cypriot artist, he trained in Britain and enjoyed a teaching career, which culminated at the Kent Institute of Art and Design where he became a senior lecturer in Fine Art as well as Head of Painting. 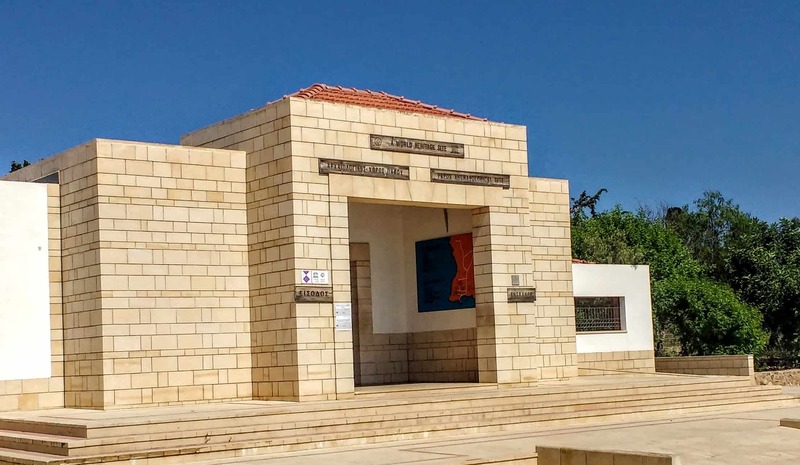 The Lemba campus is used mainly for the summer school now and students come from all over the world to spend a few weeks in the Cypriot sunshine developing their creativity among other artists and art students. Northeast of Paphos town in the foothills of the Troodos Mountains is this 12th-century monastery, which is beautiful in its own right but also contains a museum celebrating Byzantine art. Some of the monastery’s own hagiographical art is exquisite, including the icons of Christ and Virgin Mary that are lacquered with gold and silver. Within the museum, the collection is a sculpture of the Virgin Mary crafted from pure silver. Part of the monastery’s appeal comes from its location in the Paphos Forest, gazing out over cedar and cypress-covered hillsides. The Troodos Mountains is the largest mountain range on Cyprus with its tallest peak being Mount Olympus. 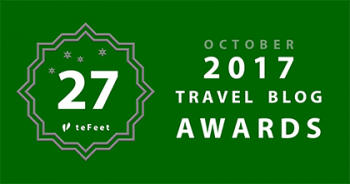 The foothills are dotted with sleepy villages, goat herders olive groves and vineyards. There are quite a few UNESCO listed Byzantine churches and monasteries hidden in these mountains. They may look unassuming from the outside but the interiors are decorated with some amazing painted murals and gorgeous icons. In Paphos, you’re close enough to make a day-trip to a fabulous corner of the island. 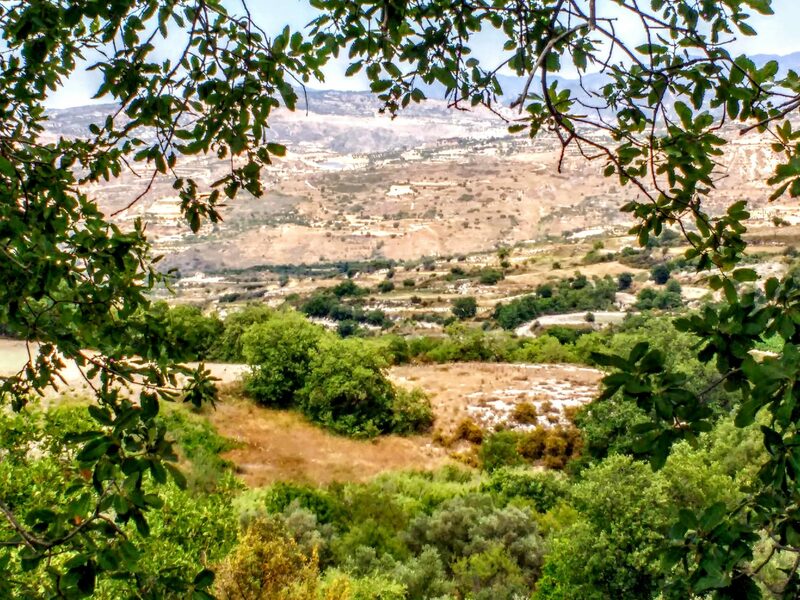 Akamas is less than an hour north along the coast and because of its rugged terrain of peaks and gorges has never been developed. The Akamas Peninsula also is one of the Mediterranean’s key nesting areas for the loggerhead and green turtles. 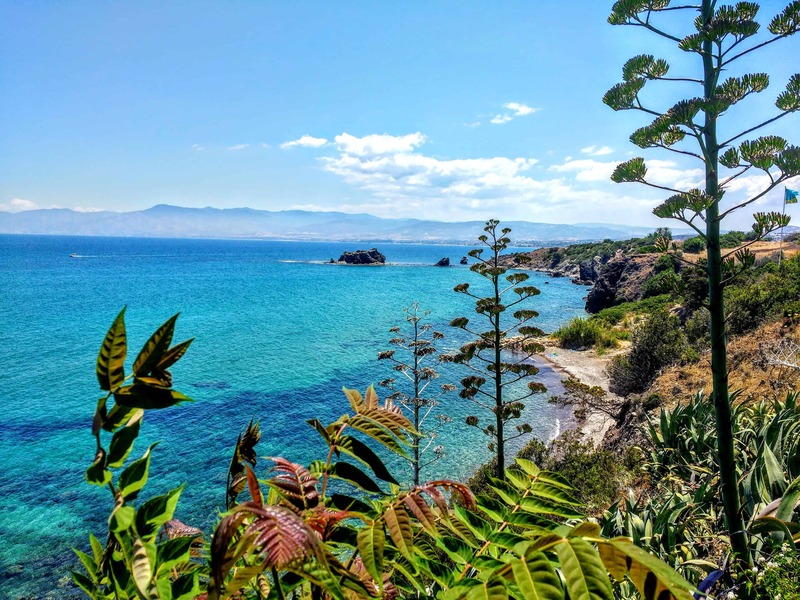 The natural grotto of the Baths of Aphrodite, and its botanical garden can be found past the fishing harbour of Latsi, and towards the tip of the Akamas Peninsula. Shaded by an old fig tree, amidst lush greenery, legend tells that the Ancient Greek Goddess Aphrodite used to bathe in the waters. According to Greek mythology, Aphrodite met her lover Adonis at this beautiful spot when he stopped for a drink whilst hunting and fell in love with her the moment when he drank the water. Parking at the bottom of the hill you trek up the path for about 10 minutes to the grove, the views on the path are pretty spectacular. 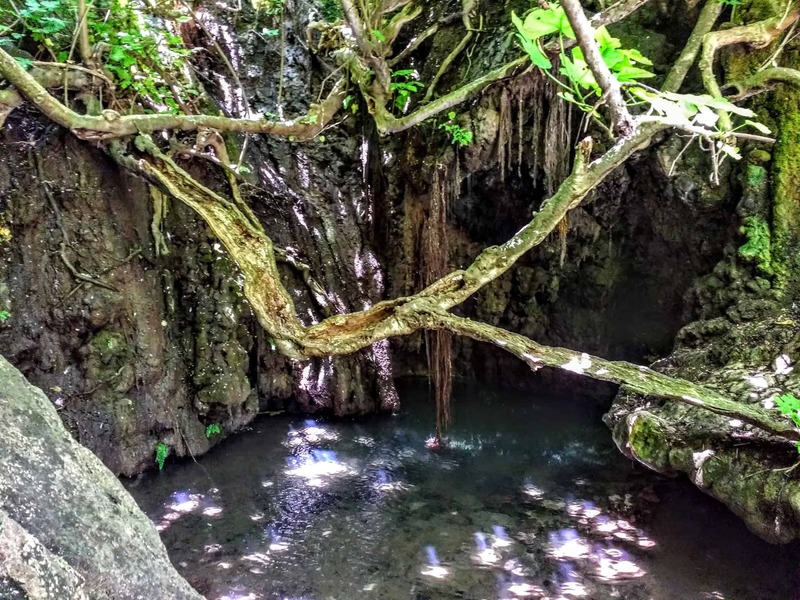 You can feel the air becoming a little cooler as you make your way to the grotto, but you will also feel the sting of the mosquitoes biting you as you enter close to the grotto. The first stop is Blue Lagoon that will take your breath away with its white sand on the seabed and warm turquoise waters. 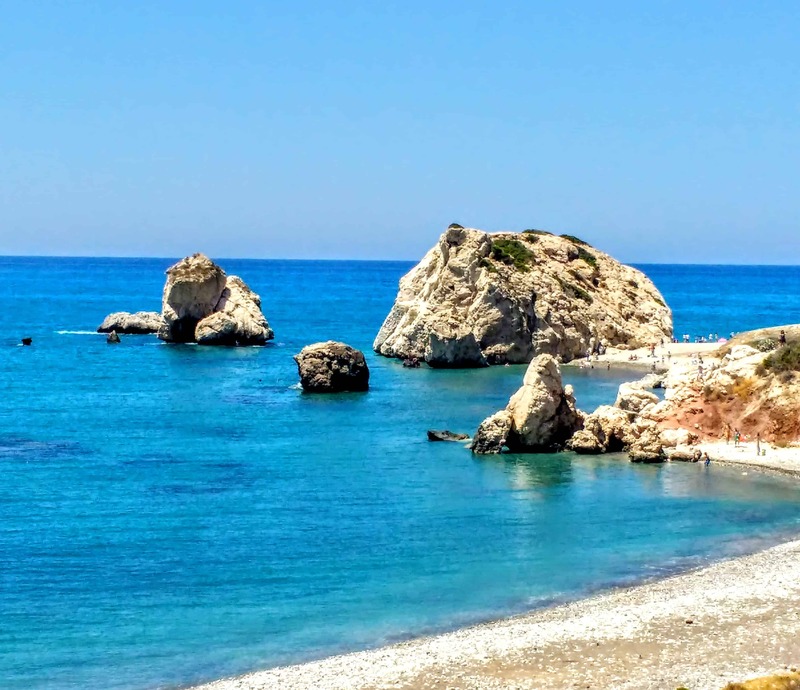 Enjoy swimming or snorkelling in the clear waters of one of the most beautiful bays in Cyprus. 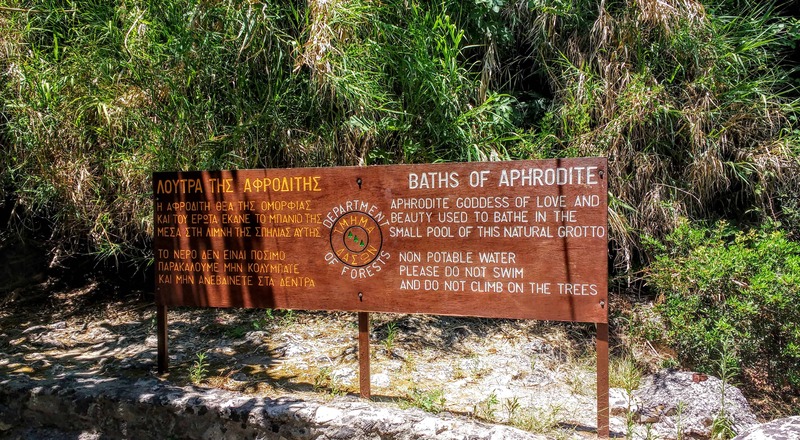 The legend states that Aphrodite bathed there before her marriage to Adonis. 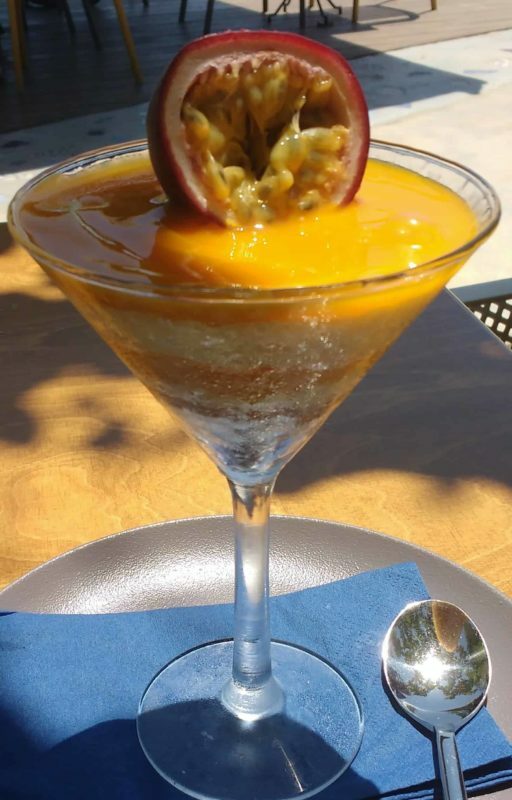 During your stop at Pafos, Blue Lagoon taste a delicious buffet lunch followed by fresh seasonal fruits. Petra tou Romiou also known as Aphrodite’s Rock is a sea stack in Paphos, Cyprus. You can access the Rock and the small beach from an underground tunnel located in the parking lot across the street. There is a small restaurant and tourist shop within the parking lot where you can get a cold drink or a snack and pick up some cheap tourist tat to remind you of your visit. Your visit will, of course, be full of other pushy tourists all walking into your photograph and not caring at all that you are there. You will simply become invisible and the spot is an absolute nightmare thanks to tourism. The sea is very rough here and it is advised that you not swim; however, local legend has it that if you can swim around the rock you will be blessed with eternal beauty. 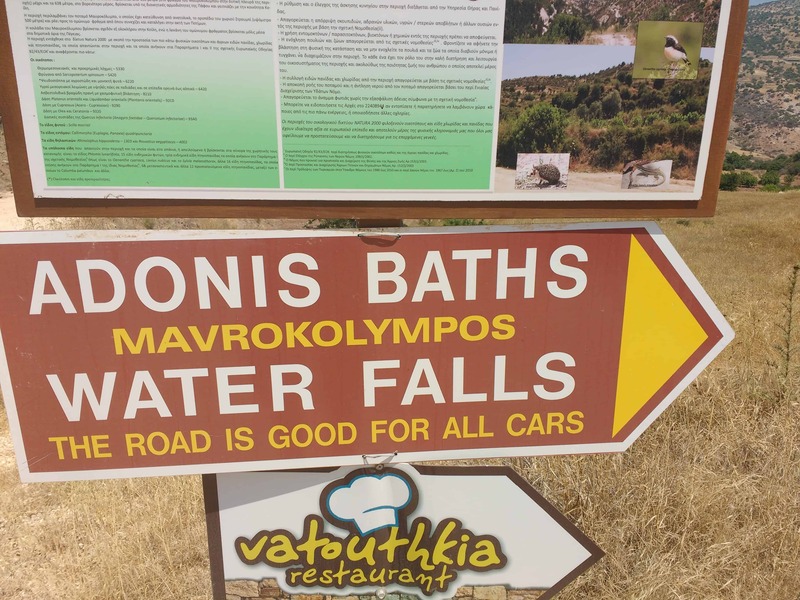 The road to the Adonis Falls is absolutely horrific. It is a dirt and gravel road full of potholes, mud holes and some sharp turns. The Adonis Falls is a man-made attraction and I say attraction very loosely. The cost is €9 Euros and is a complete ripoff. We walked past the enormous statue of Mythology’s most beautiful woman, which is pretty damned hideous. We figured we would have a nice little hike through some lovely forest but instead, we got to wander through the house of the actor who created this place. Once out of the house, the falls and pool are immediately underneath you, sun loungers, concrete and tack is everywhere. This is a beautiful monastery in Cyprus located around 9 km from Paphos in the southern part of Cyprus. The Monastery dates back to 1159 when it was founded by Saint Neophytos. The Monastery sits on the edge of the forest at the edge of Tala village. Saint Neophytos lived here until the age of 85, and 200 years following his death they added a church dedicated to Saint Mary. Famous Cypriot Theodoros Apsevdis painted the frescoes in the church. The monastery also has a museum with exhibits of icons, pottery and more dating back to Roman and Byzantine periods. Opposite the monastery, is a cave with the cell of Saint Neophytos, also known as Enkleistra. It is an enclosure carved out of the mountain with some of the finest Byzantine frescos in the world. It is said that the Saint carved the cave out of the rock with his bare hands. The Different Bar an LGBTQ bar offering some great service, partying and even a couple of apartments to rent. Good prices on cocktails and lots of fun going on here for everyone. Cyprus’s first and apparently only gay bar. You will find several British style pubs that offer all the usual Sky Sports and they are all within the downtown core area. The Crocodile, the Rose, The Wooden Pub, Billy’s bar and so on nothing out of the ordinary here. Many of the bars are located on what has become known as the “bar strip” which is actually Ayiou Antonio. 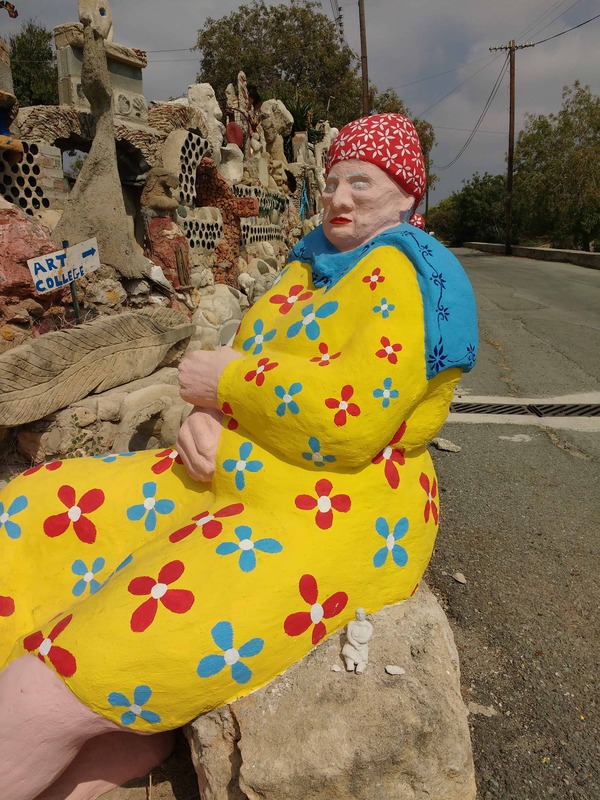 The Flintstones Bar is a Paphos landmark where there is never a dull moment. The bar, modelled after the classic, Stone Age family cartoon is filled with statues and prints of the well-loved characters. They offer a wide array of drinks and a novelty experience unlike any other in Paphos. The Flintstones Bar is fun and friendly and even younger guests can enjoy kiddie cocktails. There’s a pool table for your enjoyment and screens playing sporting matches too. In Cyprus, finding an astoundingly beautiful view is never very difficult but at the Alea Cafe-Lounge Bar you are truly spoiled. Within walking distance of the beach, the Bar offers a wide array of meal options as well as drinks. The cocktails are generous, fresh and flavorful, as well as reasonably priced. Make the most of the indoor or outdoor seating areas to enjoy the sunset and people watching. No matter where you are sitting, the stunning beauty of Cyprus will be displayed before you. I have to say for the most part food in Cyprus is rather boring. Most of it is badly cooked English dishes like a Full English Breakfast. There is lots of fish and chips, badly done and very overpriced Greek food like dolmathes, seafood and the like. I wasn’t very impressed in particular not with the restaurants themselves in Paphos. Although I have to say, the coffee is very good in most cases. In many cases, the Halloumi McMuffin was the best choice available. Meze usually consists of between 10-30 small plates of food. We found that meze can be quite expensive in Cyprus averaging around €25- 35 Euros per person and you are never allowed to share one meze meal even though there is more than enough food for 2 people. Meze is an abbreviation of Mezedes, which means “little delicacies”. 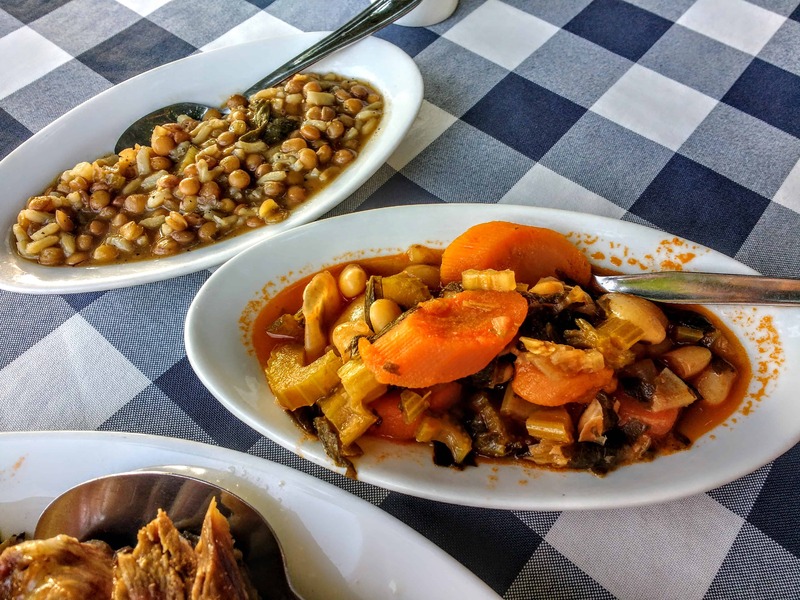 Some restaurants and tavernas offer their customers the choice of seafood Meze or meat Meze or mixed and these days you can even find vegan or vegetarian meze. 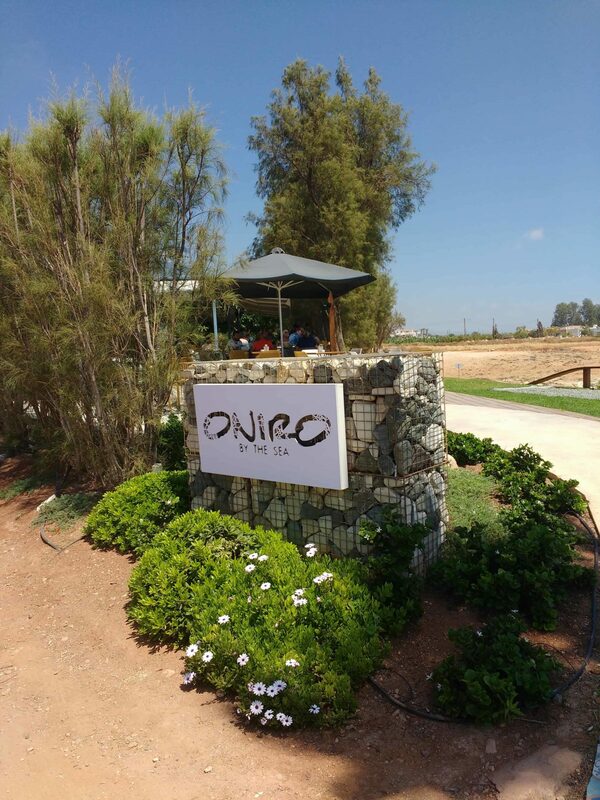 For some really good food in Paphos check out Oniro it is quite unique in few respects – the sea view is something you can get almost anywhere, but the view from here has one major landmark – the Edro III shipwreck. 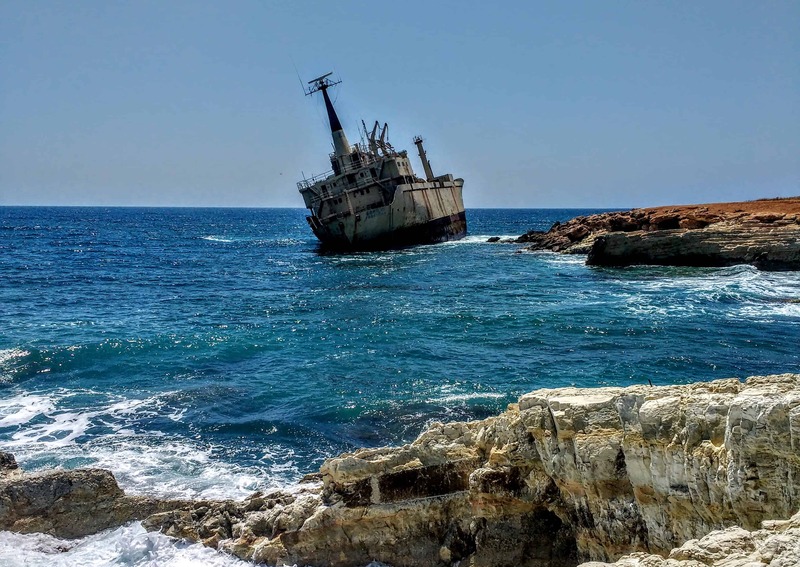 It is an 80 meters long cargo ship that was en route from Limassol to Rhodes and got into trouble during stormy weather in 2011. The crew was airlifted to safety and the cargo and fuel was also removed, but the ship is still there and dangerous to enter. Oniro translates to “Dream by the Sea” and it is a wonderful dining experience with top-notch food, outstanding scenic beauty and views of the ship and the sea caves are outstanding. The food menu is short, sweet and you will certainly find something you like. I was in love with my shrimp and mango salad, one of the best salads I had in Cyprus. Simple food cooked to perfection. If that wasn’t enough, you can select from a long list of wines or cocktails. Seven St. George’s is purported to be the best mezé house in Paphos. The ethos of the place is locally sourced food and always-seasonal menus. They have a fabulous menu and although it can be pricey, it is well worth the bill. Oh, and I must not forget they have a superb vegetarian and vegan menu available. The food we tasted includes veggies that are foraged from Sapphire to purslane. Dishes include a creamy carrot salad, cauliflower and potato salads like I have never tasted before, the delicious quails’ eggs and Kaskavali cheese, sweet lentils, traditional dips, the sweet potato leaves with egg. Dishes may include things like wild fennel mushrooms, bladder campion sautéed with eggs, pickled cauliflower, tsamarélla (goat salami), flash-fried agrélia (wild asparagus) and a host of other really superb dishes you will never see in any other mezés establishment. 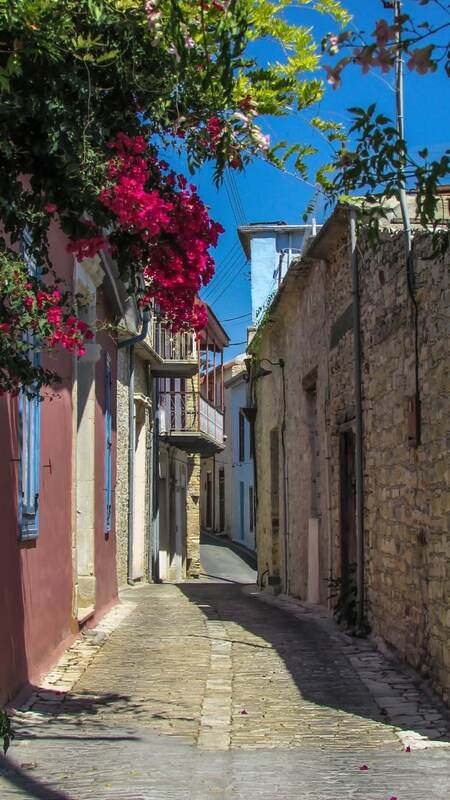 Melitzia is immensely popular in both Tala and from those taking a trip up into the hills from Paphos. 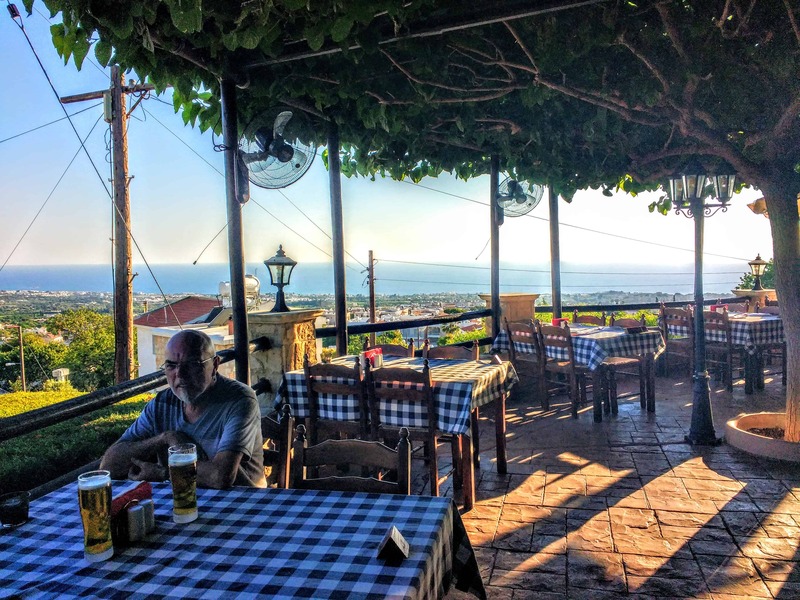 The Taverna serves some of the best lamb dishes available and the Kleftika is to die for. We had a complete mezés meal which like in most areas includes up to 20 small dishes for around €30 Euros each. Whilst I really enjoyed the mezés, after Spanish tapas this price range seems extraordinarily expense. I wish the Cypriots would just allow us to pick and choose from a selection of mezés, which for the most part would ensure all is eaten and nothing is wasted. Shopping in Paphos (Pafos) is relatively boring, pretty much the same old same old tourist tat from tea towels to baseball hats and all the usual fridge magnets. There is a huge mall called the Kings Mall but it really is nothing special and contains some name brand shops. There is a Debenhams a Marks & Spencer and all the usual suspects. 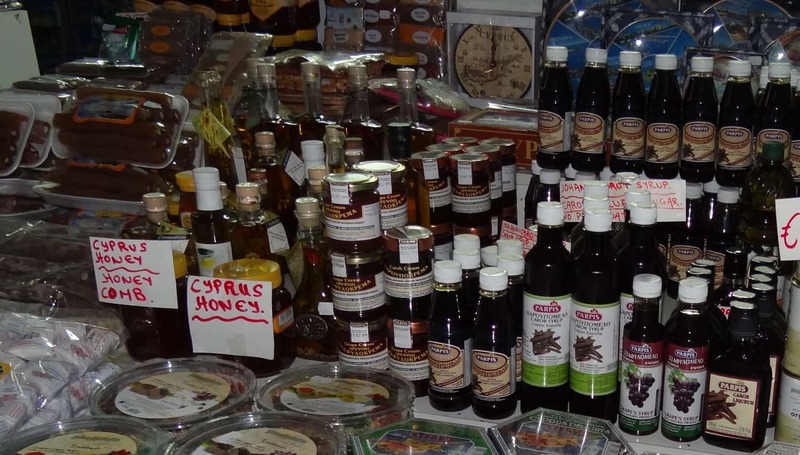 Some of the harbour front stores have a good selection of products that are a little more unusual particularly those who stock olive oils, carob products, and Cypriot foods. In some of the villages or areas just outside Paphos, you will find more artisanal goods like village made lace or artworks. Olive oil production in Cyprus as in many Mediterranean areas goes back to ancient times and is part of the fabric of most communities. 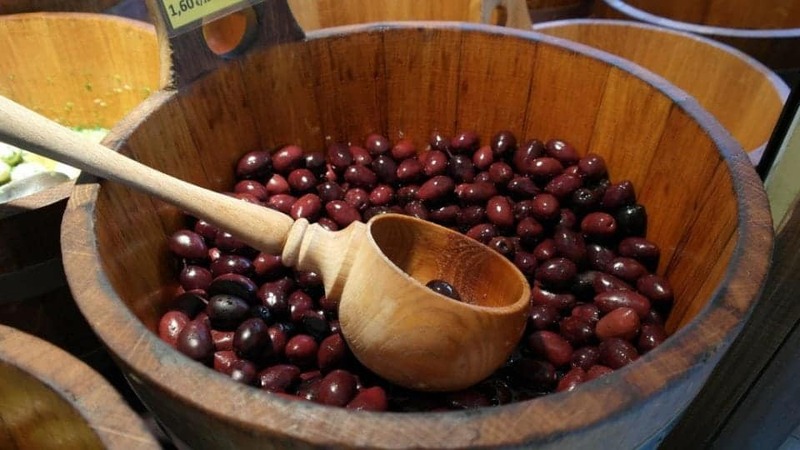 It is believed that the growing of olives has been the main agricultural occupation on Cyprus since the 11th century. The oldest olive tree on the island is more than 700 years old and more than 10 meters wide. It is located between Agia Marina and Xyliatos villages. The best quality oil is obtained on the first cold press of the fruit; it may be filtered or non-filtered but see if you can taste the oil before you buy to find one that suits you. The main winemaking districts in Cyprus are the areas next to Limassol and Paphos. Xynisteri, Maratheftiko, Muscat, Mavro and other grape varieties are grown here. The oldest and the most famous Cypriot wine is called Commandaria. This is a sweet dessert wine that dates back so far that the ancient Greek poet Hesiod talked about it. Hesiod called it Cypriot Manna or sacramental wine. Commandaria is the name of the region where the Knights Templar first grew the grapes and produced this wine in Cyprus. The Carob tree is an evergreen that has been cultivated in the Mediterranean region since ancient times. The importance of carob for Cyprus is so crucial that local people respectfully refer to it as the “black gold”. A little known fact is that carob seeds were used as a measure of weight in ancient times. Each seed weighs 200 grams – exactly as much as a carat measure used in Jewelry making. Carob has become a very popular substitute for chocolate in the world of health and nutrition and it is considered to be very good for diabetes can those who have allergies to chocolate. The Cypriots love their carob syrup poured over some good soft cheese called Anari, which is low fat. Carob syrup is perfect for drizzling on yoghurt or Anari cheese for a healthy but sweet snack. It can also be used in baked goods, salad dressings, marinades and sauces in place of honey or sugar. Traditionally, a carob toffee known as ‘Pastelli’ is made with the syrup. If you want to buy something truly Cypriot and authentic you need to head to Lefkara in the Mountains. It is around an hour and a half from Paphos. Lefkara is the home of the most beautiful silverwork from filigree to byzantine designs handed down through the generations. Here you will also find the gorgeous hand-worked lace of Cyprus as well if you want to bring home from holidays something more stable than food or drinks, we recommend you to consider silver jewellery, made in one of Cyprus mountain villages called Lefkara. 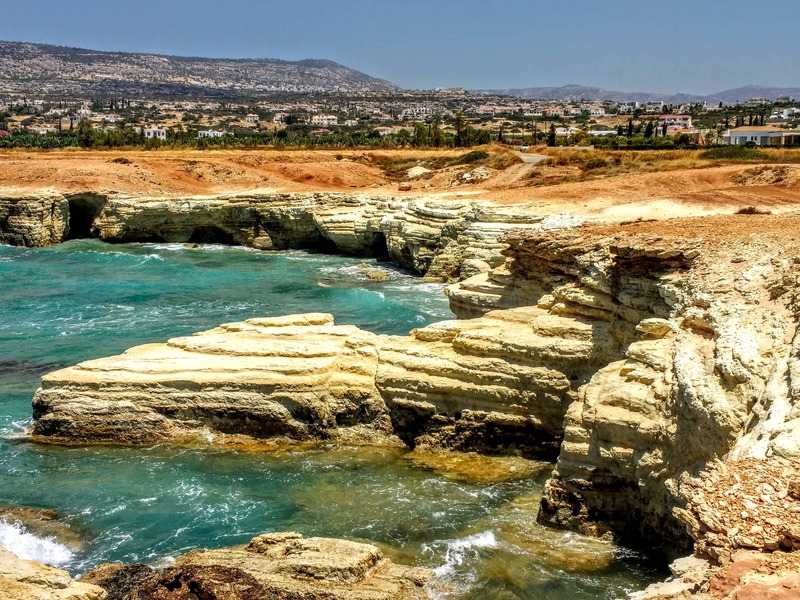 This scenic place is located between Limassol and Larnaca. 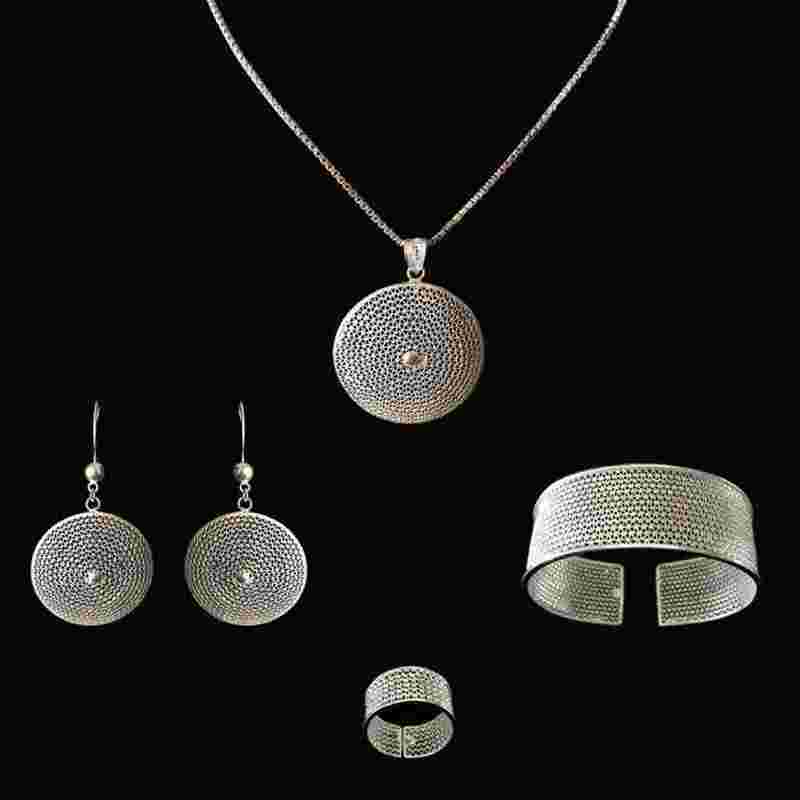 Lefkara residents have been making silver jewellery and embroidery for the past 500 years. Lefkara village is also well known for its unique embroidery. Groups of women sitting in the streets have been working on their fine embroidery for centuries. Laces are usually used for tablecloth and kitchen paper decoration. They form complicated geometric patterns that look the same from both sides. 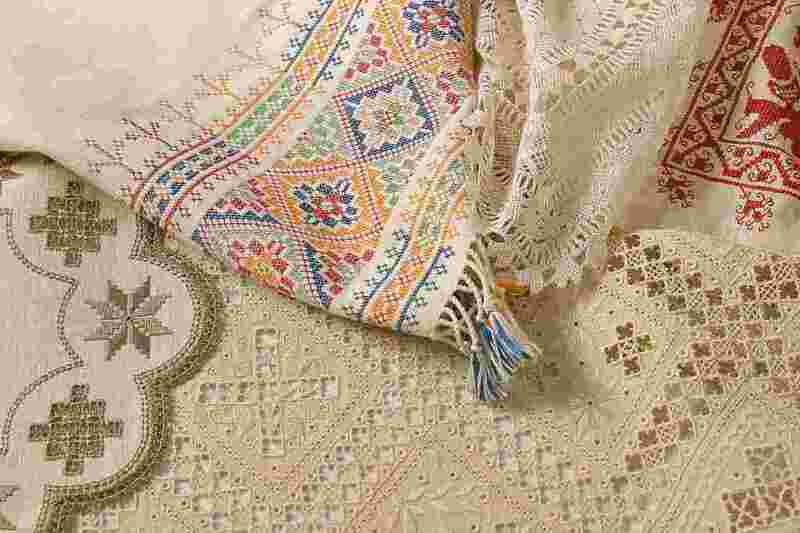 This kind of embroidery called lefkaritika is made only in Lefkara village and it is on the UNESCO Heritage List. Tourists can buy Lefkara embroidery in one of the numerous shops in the village. For many centuries, pilgrims from all over the world have been gathering in Cyprus – the place with rich spiritual history, famous for its beautiful orthodox churches and abbeys. Finally, you must absolutely take home some Veriskipou or Cyprus Delight. Cyprus is famous for its delicious sweets known as ‘delights’, which have been produced on the island for centuries. Along with a number of other villages, Geroskipou – in the Pafos district – still traditionally produces these soft, chewy sweets made, without the use of preservatives, simply with sugar, cornstarch and flavouring or nuts, then dusted with icing sugar to prevent them from sticking together. You can find pretty boxes of delights in a number of different flavours. The most traditional is rose, followed by lemon, mastic and bergamot, although you can also find more modern flavours – including chocolate – with or without nuts. It goes without saying that you shouldn’t leave the island without at least a couple of boxes for friends, or just all for yourself! So what was your favourite thing about Paphos Cyprus?